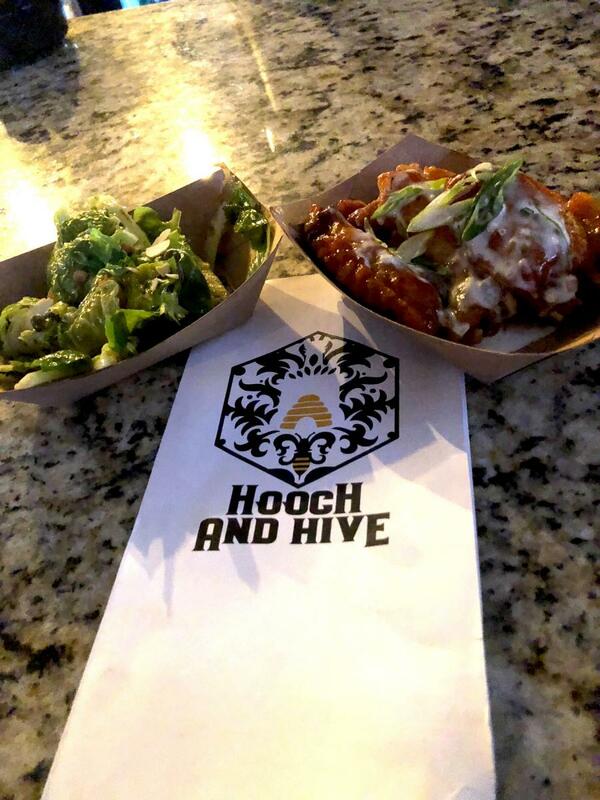 The buzz around newly established Hooch and Hive, on the corner of Cass and North Boulevard in the midst of the University of Tampa, was unmatched during its grand opening on Thursday night bringing patrons of all ages and walks of life to check out the new rock-centric bar and eatery. 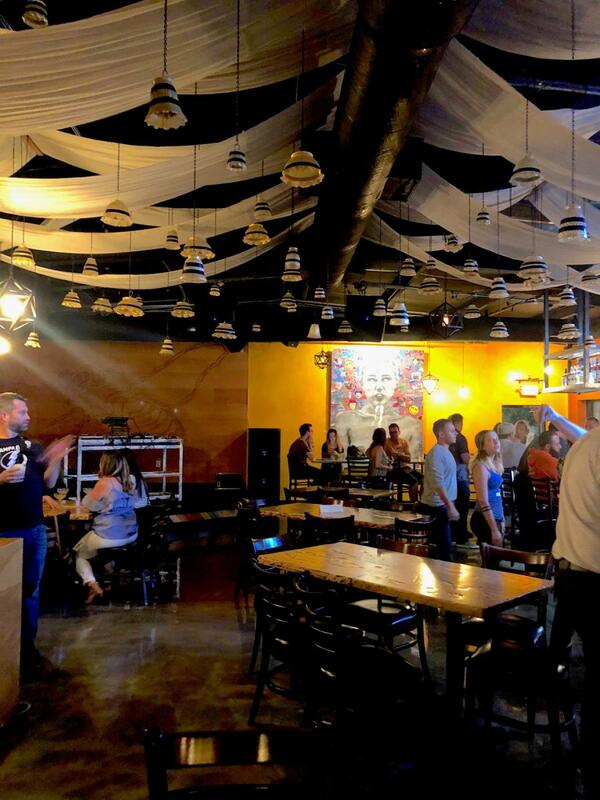 A stones throw from the Straz Center for the Performing Arts, this part eclectic gastropub/part new music dive looks to blend multiple trends into one to create a modern nightlife experience catering to the college crowd of UT and the diversity of Downtown Tampa. Featuring a complete high-quality sound system and moving light fixtures overseeing a stage, there's no surprise they plan to host local and national musical acts in addition to other events. The Crate Brothers opened this party, but not before three indoor and two outdoor TV's played the Tampa Bay Lightning's playoff game against the Washington Capitals. The bar circles around indoors and outdoors creating two distinct dining areas that bartenders and servers can access in both directions and the outdoor patio is covered in case the summer rain or heat is beating down. The interior is adorned with interesting lighting fixtures and fabric swags around the giant HVAC ducts and exposed ceiling that combines industrial and elegant with simple decor. Graffiti and art also line the walls, some of which still being completed, to keep it local. The drink menu consists of pre-prohibition style cocktails, featured classics, house creations, local craft beer and dive favorites like PBR and Miller High Life; all priced affordably so there's something for everyone, or for your varying styles. There are even a few low or non-alcoholic cocktails to try. The specialties start with a couple frozen delectables that will be perfect come summer time. Featured below is The Georgia Mule. A combination of sweet and boozie, which is kind of a theme around here. The food and snacks are inspired by Ocean Prime Chef Adam Polisei featuring favorites like duck confit and waffles, fried chicken, burgers and street corn in addition to a slew of vegetarian options. All food is locally sourced where possible and served in eco-friendly paper trays, so they're good for you and good for the Earth, too! And better yet, the prices range from $2-4 meaning it's also good for your wallet! Here are the hive wings and crispy brussel sprouts which were shared amongst two. 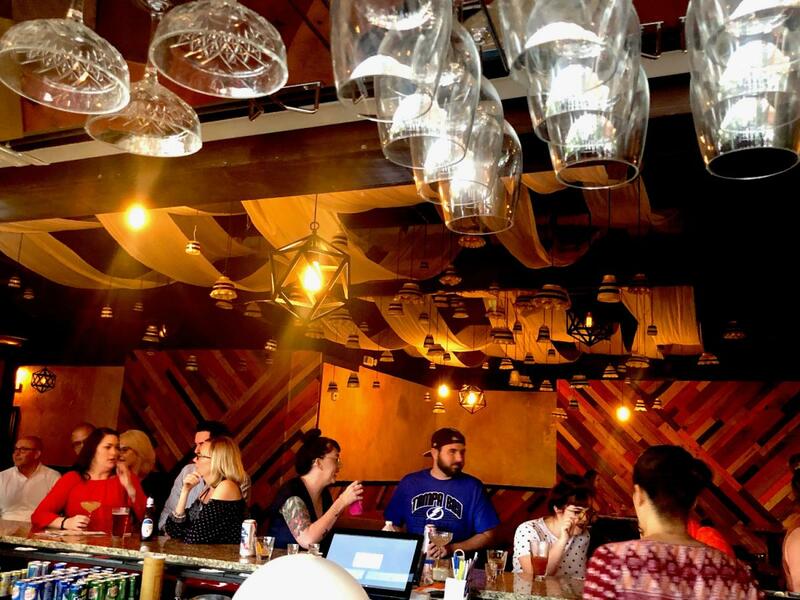 The affordability of Hooch and Hive coupled with the eclectic college meets fringe sub-culture makes this new bar and eatery an instant-mainstay in the South Tampa nightlife. Add in the promise to bring in more musical acts and this could be the new hotspot close to campus. An additional flair to this location is a full coffee station and free wifi, for those who wish to work for lunch before indulging on that happy hour cocktail. Art shows, various musical acts, special events, DJ performances and local art talkbacks are touted as future events bringing the Hooch and Hive crowd into the cultural art scene in addition to the foodie niche. Run by a group of successful restaurateurs, the Hooch and Hive kicked off as you'd expect; with a diverse group of people looking to have a good time on a Thursday night. I thoroughly enjoyed my time and am looking forward to the various events and specials that sprout from this successful opening. 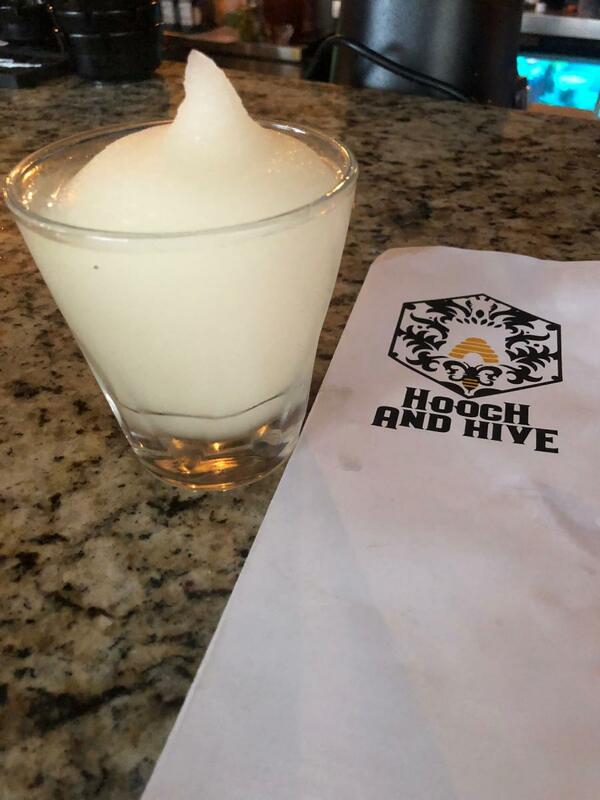 Checking out Hooch and Hive and want to see what else is happening in South Tampa? Don't forget to subscribe to the website to receive info on local deals, restaurants, nightlife and things to do in the 813area. As always, it's free!